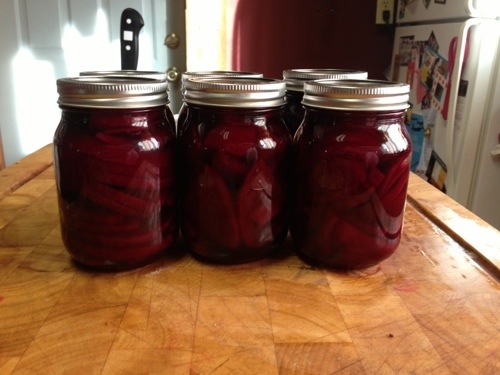 We grew beets one year but I had no idea what to do with them – they are going back on the list for next year because these look delicious and I overcame my fear of canning and already did jalapeno jelly so maybe I can do this too! You can! It’s actually really easy! 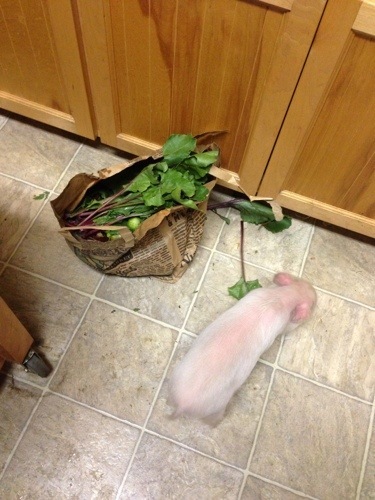 And beets are good! I didn’t know until I canned them and tried them! You can do it! 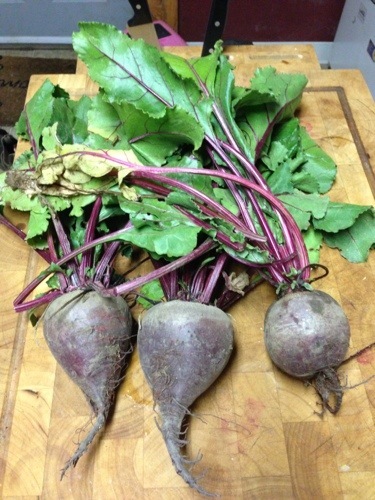 I’m going to make can some beets this weekend. I have one question – do you drink the wine while you can? I didn’t see it in the recipe but it totally caught my eye! LOL! Thanks for a great recipe and pictures! LOL, yes I was drinking the wine. It was super hot in my kitchen and it was the only thing that helped! you can also store beets in sand. 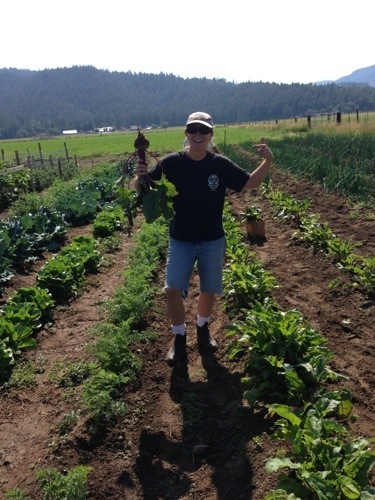 harvest, do not wash, trim greens to about 1″ above fruit, place in plastic tote, cover each row of beets with slight moist sand, cover with tote lid, then store in tote cool dark location. last years are still great, harvested in Sept of 2014. 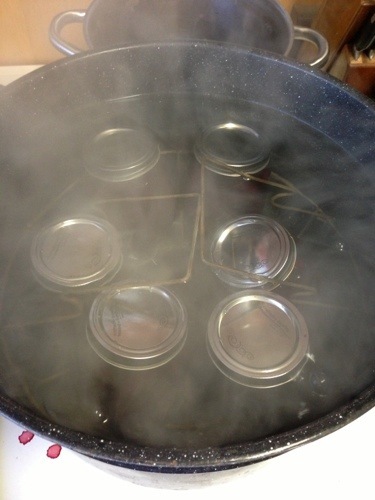 I will do this warm bath canning as well. thank you! A printer-friendly version would be a nice addition. 15 pages of a pickled beets recipe is too much. Just made this and was wondering if this should be refregerated or stored at room temperature? 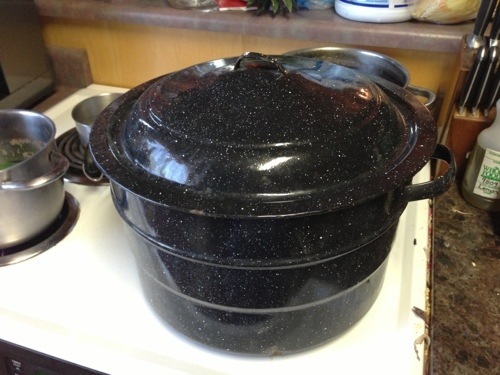 If all you lids sealed after you processed it, it should be safe at room temperature. I’ve never tried this and I’ve always wanted to do this, but you’re right it’s very intimidating. I will have to get the courage. 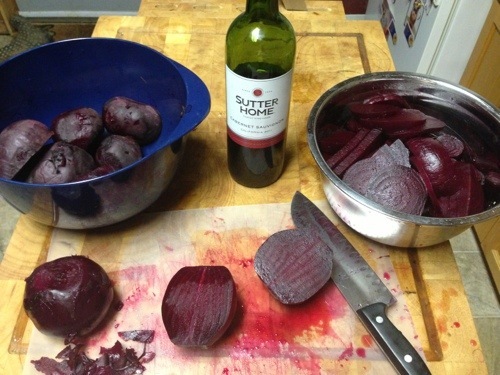 First off I would never cut an uncooked beet. They lose too much during the cooking process. Secondly, I thought you said these didn’t need processed because of the vinegar. My directions are for a processed beet. They pickle because of the vinegar. As far as losing too much during the cooking, I don’t know about that. This is just how I do it, it works for me. Awesome! Thanks for recipe! Trying iT now!!! Exciting times! Made these for years. I just scrub them well & cut in half & roast in 400F oven till tender. 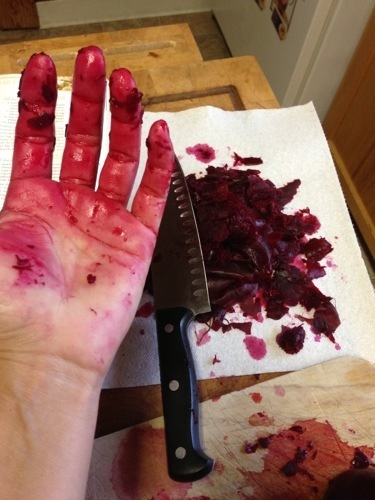 Beets bleed when they are cooked by boiling. Then slip skins off & proceed with your recipe. Do you have to leave them set for so long before you eat them? It does help with the actual pickling process, but try them! They will probably still be delicious. Do the beets get mushy? I was wondering because they’re cooked until fork tender then cooked again in a water bath. I did this with pickles once and they turned to mush! 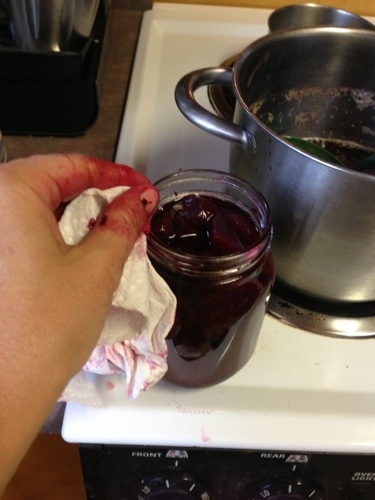 I have never canned pickled beets, my mother always canned them and they was so good. Yesterday a good cousin gave me a 1/2 bushel of homegrown beets. 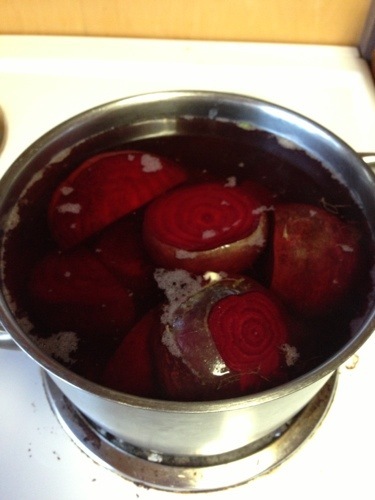 I called my sister in law for Mom’s recipe, she gave me the Blue Book Recipe for pickling beets. That is what Mom always used. She passed away in 2010. I am so thankful we still have her recipes. She had 8 children, 2 daughters and 6 sons, and boy did we eat good. Thank you for your recipe, first time I seen this blog. I hope to use it again soon. Have a great summer 2017. 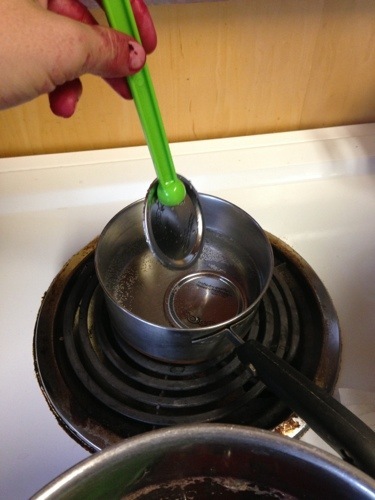 Lovely recipe and appreciate you sharing it! 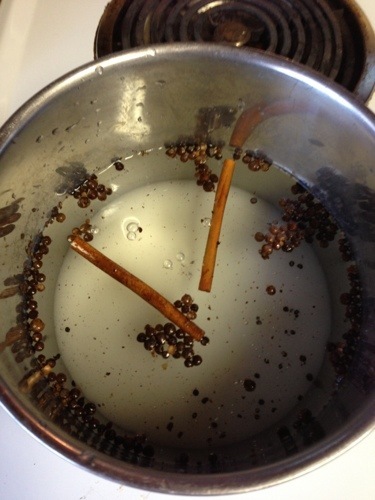 Very tasty and fragrant while boiling the liquid. My store cupboard is filling up with all the pickling I’ve been doing. Nice to go through winter with a taste of summer. 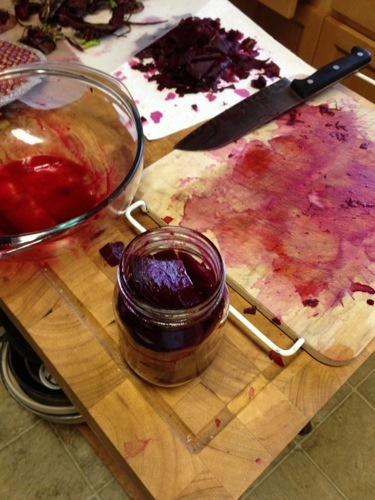 I use to make beets like this but never processed them, do you have to???? What would be the difference? I don’t have a proccesor. I didn’t use to use one but wonder if there is a reason I should now. I don’t process them ,when they are in the jar and well closed I put them in my pantry and enjoy them. They will not be bad because they are in vinegar. I make them all winter (5 jars ) and when I finish I I make some more. I add only 2 tablespoons of sugar in mine. Thanks for your recipe. Question… how long should I wait before I eat them??? 🙂 I can’t wait to try them!! They are in a can bath right now!! You can eat them now, but I recommend letting them pickle for a week. Can shredded beets be canned?